I started teaching martial arts for kids in 2005. 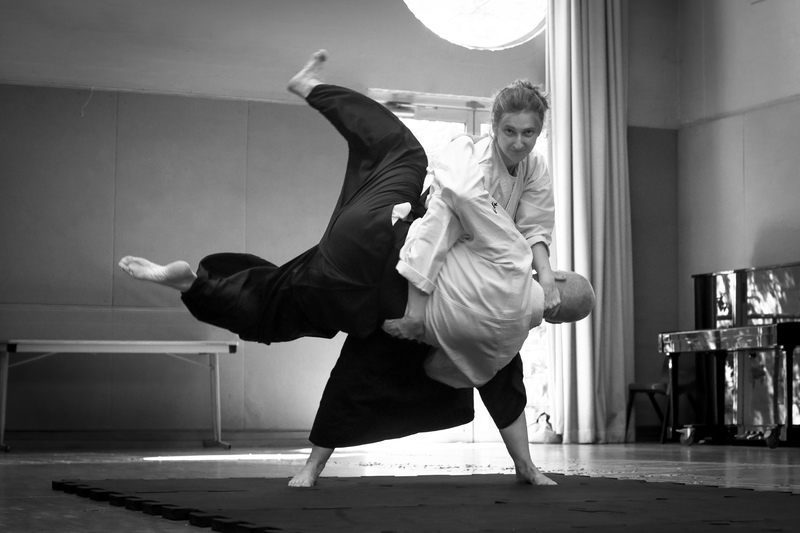 But I never wanted to be a kids instructor at all – I had been actively avoiding teaching kids aikido for years! A couple of things changed my mind. Firstly, my own son had been bullied in primary school a few years earlier. A boy in his class, let’s call him Joey, was struggling with a messy parental break-up. Joey would grab other kids around the waist from the back and lift them off the ground. The school and parents were aware of his situation and sympathetic and supportive. Joey wasn’t physically harming anyone, but he made the kids he grabbed feel powerless and out of control. They didn’t like it, regardless of how understanding they were trying to be. Bullying is about social dominance and no child enjoys being on the receiving end. So one Saturday afternoon I taught my son and his best friend “unbendable arm” and “unliftable body”. These exercises introduce the concept of being more stable and more powerful through relaxation. I also showed them how to deal with Joey’s signature move. I got them to practise a few times with each other. This took about 30 minutes. You can imagine how keen I was to hear how things went at school! Fortunately, Joey never again put hands on my son. I admit I was almost disappointed just for a second, but this was by far the best outcome. I honestly believe that my son’s confidence in being able to deal with the situation meant that it never happened again. The confidence that kids develop through aikido naturally gives off the message, “I’m not a victim”. About a year later we took a football to the park. Other kids turned up and before long there was quite a game going on. Then it was onto the swings and climbing frames. Another kid a couple of years older showed up and wanted to take charge. When he didn’t get the response he wanted, he pinched my son’s cap and ran off with it. The others were outraged and wanting to give chase. I told them just to go on playing – they were having a great time together and this other kid was on his own, on the far side of the park – with a cap! Sure enough he couldn’t resist the fun and not only brought back the cap but also made the effort to fit in with the others. Until it was time to go: saying, “I’m not going to let your son leave!”, the cheeky sod ran up behind my boy and grabbed him round the waist! My son looked at me. I shrugged and said, “You know what to do…”. I don’t know who was most surprised: me, my son, or this older, much bigger kid. My boy grabbed the other boy’s fingers and effortlessly peeled the arm from around his waist (the “pinky peel back trick” he calls it). We hadn’t practised this specifically, but in his exuberance he followed the movement naturally into a textbook “ikkyo” which took the other kid, unharmed, to the ground, mouth opening and closing like a goldfish. Term 4 starts in just a couple of weeks, Sign up now! Camperdown dojo in Sydney’s Inner West. Note: no children were harmed or feelings hurt in these valuable life lessons. I’ll write about the other things that changed my mind about teaching kids in another post.